Spring Has Many Indicators. Do You Know About This One? From groundhogs seeing their shadow, to sunsets happening at later times, to outside temperatures becoming warmer. And then there’s another indication: Hummingbirds. 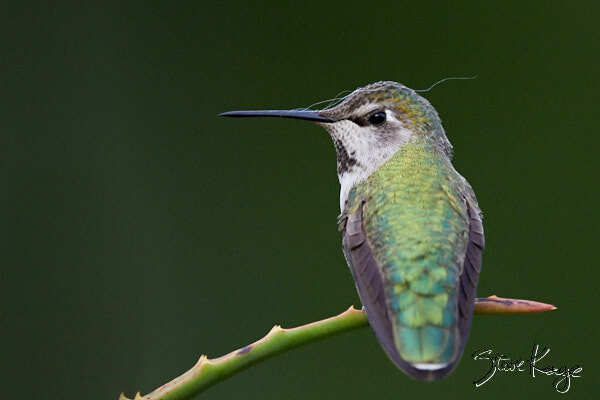 The first photo shows an Anna’s Hummingbird with spider web silk on her bill. That tells us she’s building a nest. The Anna’s Hummingbird builds its nest out of plant down held together with spider web silk. Then she lines the nest with feathers or other soft materials. Her nest begins just large enough to hold two eggs. Then, thanks to the spider web silk, the nest stretches as the nestlings grow. The next photo shows a pregnant hummingbird (that is, one with eggs). Hummingbirds typically lay two eggs each season. So she looks ready in this photo. Once the eggs hatch, the female works hard to find enough food to feed her nestlings plus herself. Typically, a hummingbird consumes twice its body weight in nectar each day. Now she must find more. The above photo shows a female feeding a newly fledged juvenile. And the remarkable part of this that these birds start anew every spring, regardless of the winter before. If you find a nest, please leave it alone. When frightened, birds provide less food to their nestlings and sometimes they will abandon a nest. So watch from a far distance. Then we can look forward to having more birds next year. 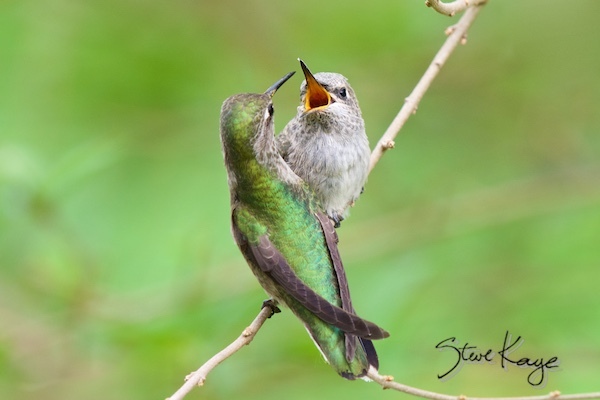 What a masterful photographer you are Steve, to capture hummingbirds with such clarity. As always, I am thrilled with your images. I miss getting to see hummingbirds flitting about outside my bedroom window. City life, at least in this neighborhood, is not the best for hummingbirds, but we do get a flock of parrots overhead twice a day. 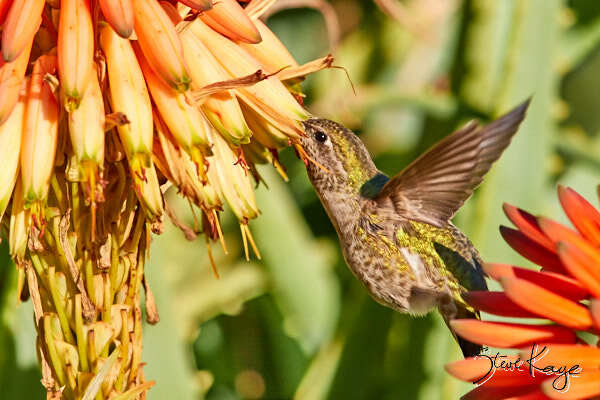 Very informative and interesting and beautiful photos of the humming birds. Beautiful Steve. We have had some spring-like days here in Stuttgart. I think that will pass, but it has been a lovely view into what will soon be Spring. Your images inspire. Looks like Hummers are quite suited for building their nest – they are equipped with a needle to use weaving the thread spider-web silk)..